The rise of social media has caused a major shift in public relations by introducing many exciting opportunities to connect with the public. Still, the conventional PR rules apply and it’s important to strike the right balance between public relations and social media. 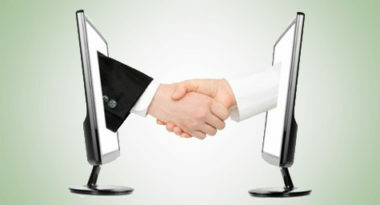 OpenForum.com outlined the following five strategies for integrating these modes of media. 1. Establish Real Relationships – Social media makes it simple to develop personal relationship with the media, which can be a huge help in increasing exposure for a business. After all, the media always pay more attention to businesses they know. Take advantage of every opportunity to reach out to journalists and other press professionals to develop a friendly rapport. Fridays are the best time to connect, while deadline-oriented afternoons are the worst. 2. Position To The Press – Recognize which media cover which stories and approach these professionals with topics that appeal to their target audiences. Put yourself in the journalist’s position and provide content that caters to their needs that will help them meet their professional goals. 3. Make Contacts Feel Important – Anyone can cover a general story, but words like “exclusive” or “advance” can win over a media professional’s attention and appreciation in ways that benefit a business long-term. Be sure to express that the story is only exempt from other press outlets until a specified date and time. 4. Create Videos Of Value – YouTube allows anyone to make a video today, but that doesn’t mean that everyone has the talent to do it well. To make the greatest impact and avoid embarrassment, hire a professional to create a polished video. Their services can be surprisingly affordable and can pay off in numerous ways. 5. Don’t Use Social Media For Crisis Management – Crises demand an experienced public relations response team to deal with media and assure customers that the issue is being rapidly resolved. Companies that have turned to their social media pages to handle the press have only caused additional frustration and ill will. While social media can be an element of a company’s crisis strategy, the main responsibility should be left to the professionals. Remember that social media can enhance the effectiveness of public relations, but it’s simply no substitute for a professional PR approach. The media has certain needs and demands and they must remain a priority above any platform. Make the most of your social media strategy-contact MDG Advertising today at 561-338-7797 or visit mdgadvertising.com. MDG Advertising, a full-service Florida advertising agency with offices in Boca Raton and New York, NY, specializes in developing targeted Internet marketing solutions, exceptional creative executions and solid branding and Public relations and media buying strategies that give clients a competitive advantage. Our core capabilities include print advertising, branding, logo design, creative, digital marketing, media planning and buying, TV and radio advertising, customer relationship management, loyalty programs, public relations, Web design and development, email marketing, social media marketing and SEO. View MDG Advertising’s creative marketing portfolio.